Abstract—This study aimed to describe the factors that influence the implementation of e-learning at STAIN Kendari. The method in this research is a descriptive qualitative the data analysis consists of data reduction, data presentation, conclusions and verification while the validity of data by triangulation of data. Development of e-learning can be accessed at http://www.elearning-ambarsrilestari.web.id/. Based on the analysis of field data, it was found that the the factors that influence the implementation of e-learning at STAIN include: 1) the use of e-learning is not yet a culture of learning 2) limited human resources in the field of information technology both faculty and staff 3) wifi network cannot be accessed directly in the classroom, and 4) low students' understanding of information technology in learning. Index Terms—E-learning, learning culture, information technology. Ambar Sri Lestari is with STAIN Sultan Qaimuddin Kendari, Indonesia (e-mail: ambarlstr@gmail.com). 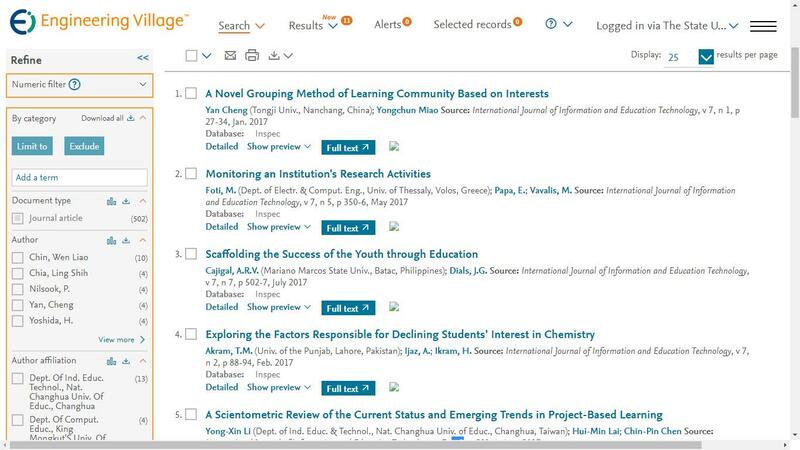 Cite: Ambar Sri Lestari, "Analysis of the Implementation of e-Learning in Stain Sultan Qaimuddin Kendari Southeast Sulawesi," International Journal of Information and Education Technology vol. 6, no. 6, pp. 453-456, 2016.